In Thrill Me, Maya and Del separately return to their hometown to work on a project for Mayor Marsha. Maya works in video editing, and Del is a charmer on camera. Their work chemistry is easy and natural, and even though they had decade-old romantic history together, Del and Maya renew their relationship in the form of friendship. Maya and Del are loveable and fun characters, perfect for each other, and perfect for Fool’s Gold. Their romance was mostly in their own minds until they finally admitted feelings for each other and decided on Happily Ever After. 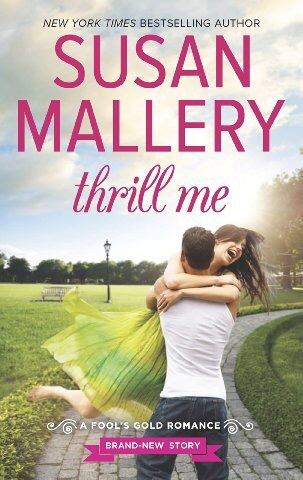 Another Susan Mallery winner!